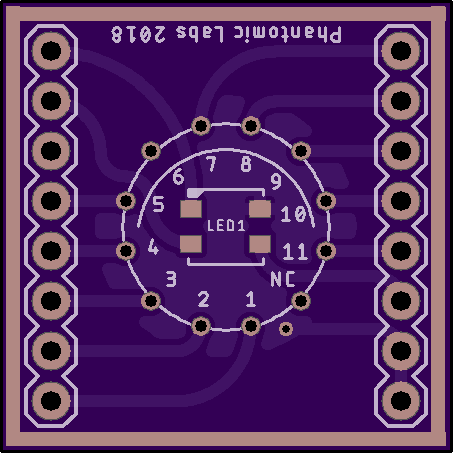 2 layer board of 0.85 x 1.15 inches (21.6 x 29.3 mm). Uploaded: November 24th, 2018 16:07. 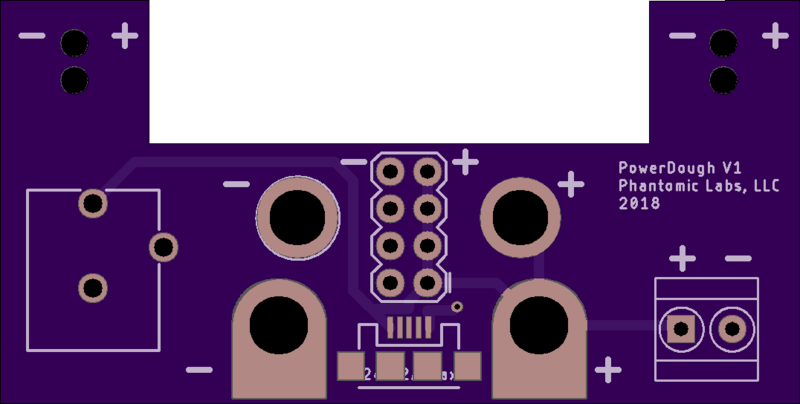 Powerdough v1.1 - Breadboard PSU helper. 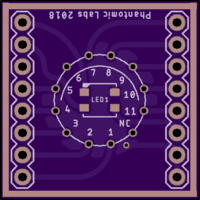 2 layer board of 2.12 x 1.11 inches (53.9 x 28.2 mm). Uploaded: November 6th, 2018 19:32. 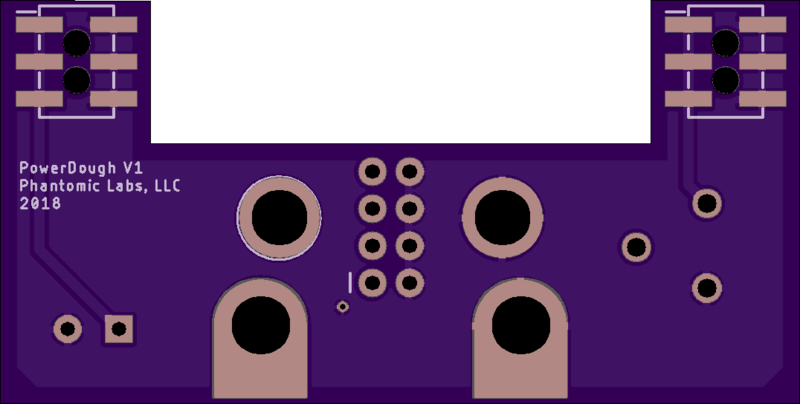 2 layer board of 1.40 x 1.10 inches (35.6 x 28.0 mm). Uploaded: October 23rd, 2018 07:40. 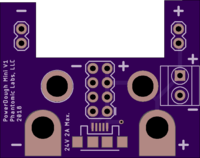 New from Phantomic Labs, PowerDough Mini v1 - Mini Breadboard to PSU Connector. 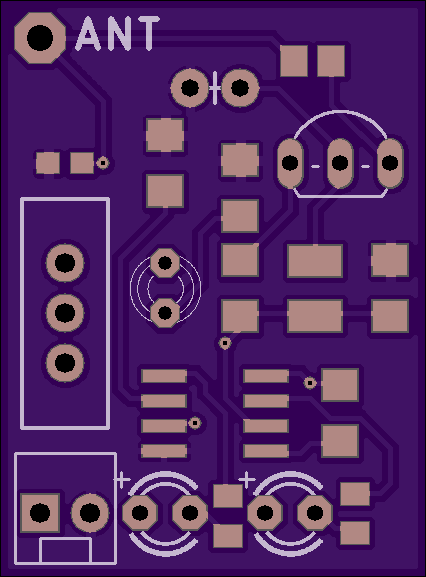 Tired of rigging various jumper wires from your PSU to your breadboards? This allows for a power feed from micro-usb, alligator clips, banana clips, terminal, or jumper wire. 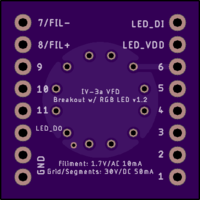 Connects to breadboard via two 3x2 2.54mm pitch SMD male header pins. Warning: UNTESTED, traces rated for 24V at 2A Max. 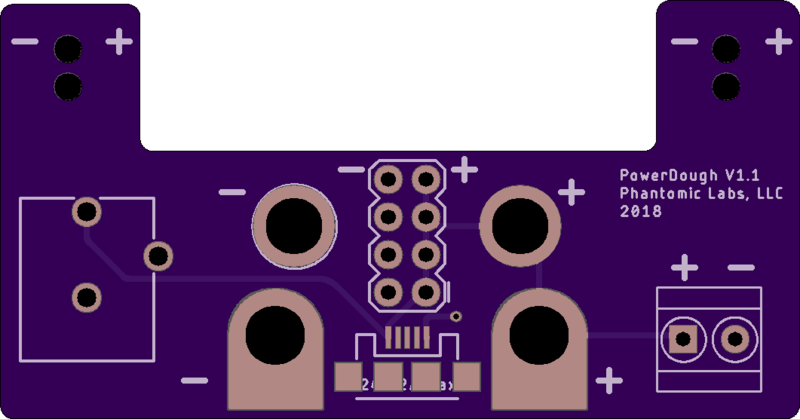 There is no protection in this circuit, only VIN and Ground, so make sure you use a battery or clean PSU to power this board. 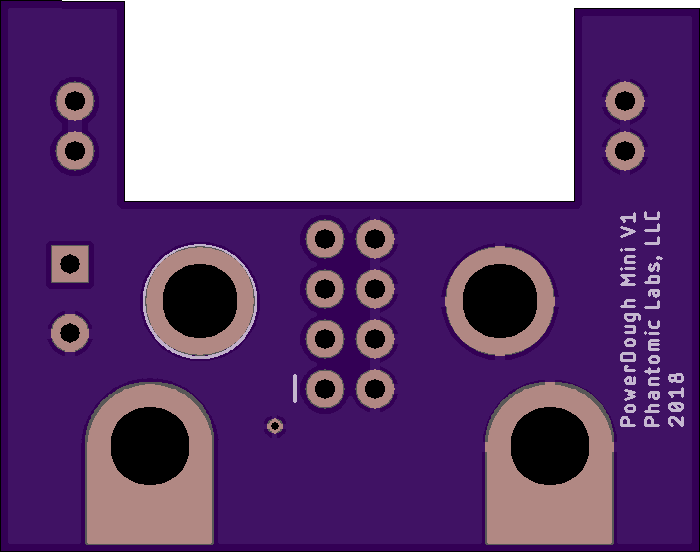 Polarity is indicated on the top side of the board. 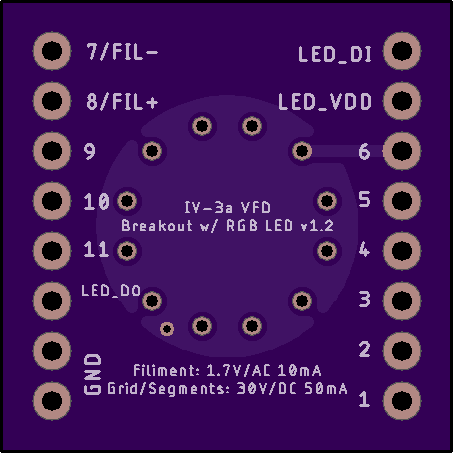 This is for the mini-style solderless breadboards with no power bus. 2 layer board of 2.15 x 1.09 inches (54.6 x 27.6 mm). Uploaded: October 23rd, 2018 06:44. 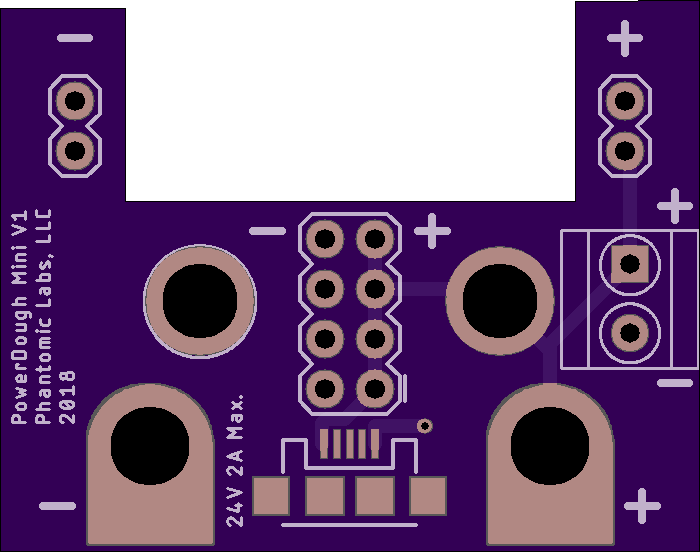 New from Phantomic Labs, Powerdough v1 - Breadboard to PSU Connector. Tired of rigging various jumper wires from your PSU to your breadboards? This allows for a power feed from micro-usb, dc barrel jack, alligator clips, banana clips, terminal, or jumper wire. 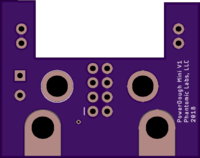 Connects to breadboard via two 3x2 2.54mm pitch SMD male header pins. Warning: UNTESTED, traces rated for 24V at 2A Max. There is no protection in this circuit, only VIN and Ground, so make sure you use a battery or clean PSU to power this board. 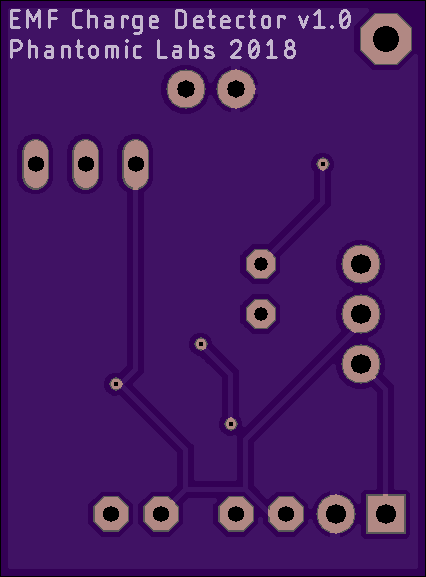 Polarity is indicated on the top side of the board.